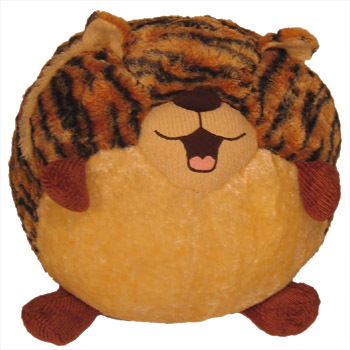 I just discovered Squishables, big squeezy armfuls of plushy critter goodness. They has tigers! They has monkeys! Even sheepses! Squeeeee! Cough. Ahem. 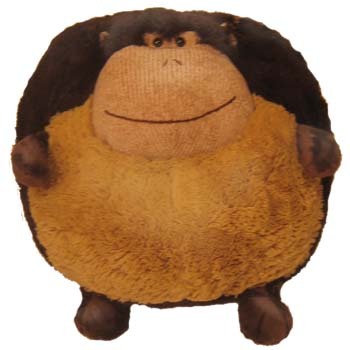 I mean, they have a wide veriety of popular creatures, depicted as fat, fuzzy, balls of squee, err, um, as neotenous symbolic representations that invite tactile contact for primate reassurance. Huggable! Did we mention huggable! Pix 4 charity! For every picture of you smiling with your Squishable that we receive in the month of November, we’ll donate a dollar to Operation Smile. [a charity that helps children born with facial deformities receive corrective surgery– SRC] The more smiling faces, the more cash, up to $500. So what are you waiting for? Get out there and get your Squishable, and take a picture of you and your new buddy! Buy one for the helpdesk at your company– they need a mascot, preferably one that’s huggable, after dealing with you lot all day, every week! 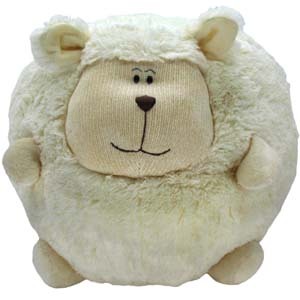 Disclaimer: I have no affiliation with Squishables right now but I am planning to become a customer as soon as I start my holiday shopping! I know a Code Monkey or two who could use more hugs, for instance.